Well, I will start with the little gathering I’m at now, at my favorite coffee shop. Hanging out at the coffee shop on Thursday (2 weeks ago, now). The company kept at the coffee shop that said Thursday. Becoming the Ladyfolk’s mini-me’s best friend. Becoming best friends with another friend’s friend… It’s a theme or pattern or something. 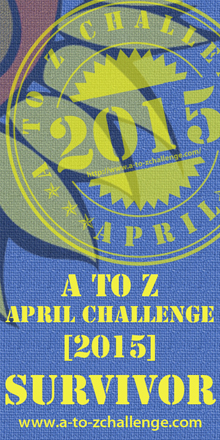 I’m Thankful for my attempts at catching up on fellow blogger A to Z Challenge entries. It’s a slow… slow… process. Crap, two weeks seem so long ago now… Thankfully I’m coming to terms that I’m getting old and my memory isn’t as sharp as it used to be… how does Christine do it?! Oh right, she's never late! Oh, Thursday night I paid a visit to an old NaNoWriMofriend. It was great to see them again after so long! This one is probably more pertinent to this last week, but Candy Crush added new levels finally. I’ve yet to try them. Marvel Puzzle Quest: Dark Reign still consumes me! Realizing that I still have catching up to do on comments to my latest entries. Holy crap I’m getting really bad at this! Thankfully, I know I won’t completely leave them hanging… for much longer… ACK! All are appreciated! Feel free to leave your Thankful List in the comments below, if you aren’t participating directly with the blog hop! When was the last time you made a new best friend? If it easy for you to make friends with people? Question: If you put up a blog entry placeholder post, and don’t get to it for over a week and no one is around, will people still visit and comment?